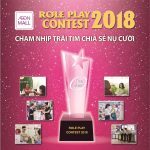 With the history of over 20 years in Japan, the Role Play Contest is finally coming to AEONMALL Vietnam. The contest aims to enhance the ability of welcoming customers for tenants’ staffs and improve the customer services quality in AEONMALL shopping malls. AEONMALL Vietnam is proud to be a life design developer that works with communities and produces ways of living for the future. We strive to provide customers with Japanese service standards and the most comprehensive shopping experience with the core value “Customer First”. But we cannot achieve this enormous mission without the contribution of tenants, the enthusiasm and professional sales skills of all tenants’ staffs. Role Play Contest 2018 is expected to be the contest for all tenants’ staffs to learn, to share experiences and to enhance the sales skills to serve our customers better. And this is also the opportunity for all staffs with outstanding skills can express themselves and win the trust from customers. 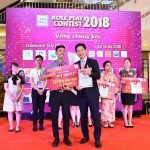 In July, the first round of Role Play Contest has started in AEON MALL Tan Phu Celadon, AEON MALL Binh Duong Canary, AEON MALL Long Bien and AEON MALL Binh Tan. 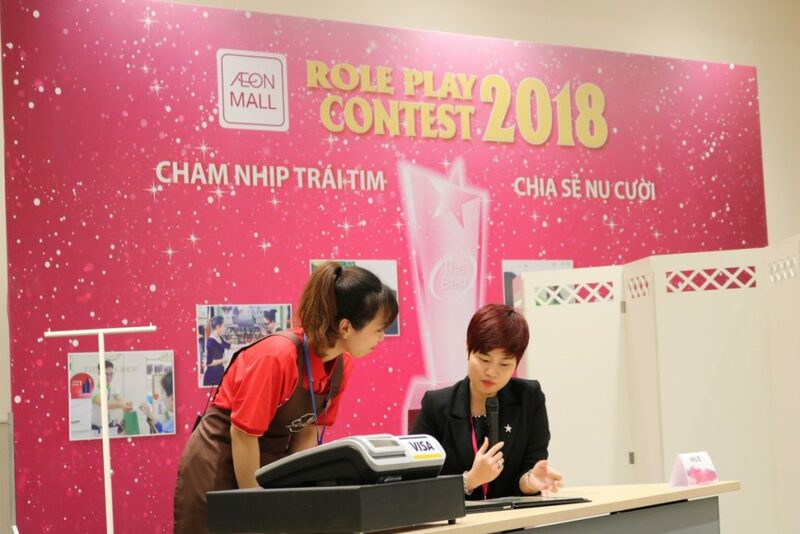 With nearly 400 contestants from 4 AEONMALLs across Vietnam, the Role Play Contest proves that customer service is absolutely the most important part of any businesses. 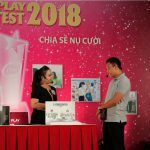 There are many staffs coming from famous international and local brands and they are all very excited to take part in such the unique and special contest which is organized the first time in Vietnam by AEON MALL Vietnam. The Role Play Contest 2018 with the slogan “Touch the heart – Spread the smile” has finished the first step successfully. After Round 1, there will be 20 qualified contestants at every AEON MALL shopping malls continue to the 2nd round in September. We wish all contestants the best in the next round and become the winner in the customers’ hearts through the Role Play Contest 2018.